Yoga has been a perfect addition to my workout routine, helping me gain more flexibility, strength, working through and easing pains associated with running. The list really could go on and on. But there is one major bonus for yoga. Yoga is excellent for kids as well. And it's a lot of fun to be able to practice yoga with my kids. When I put in a yoga dvd at home, my kids will sometimes join me, but within minutes, they are bored and end up going in another room. The adult videos aren't very intriguing to young minds. There have been many major studies conducted regarding the connection with yoga and learning problems. It helps to improve concentration, reduce stress, and help with sleep. It also helps in improving gross and fine motor skills as well as improving overall body awareness. When I received Storyland Yoga, I initially thought I'd use it with Izzy especially since the age range on the package said 4-7. I did mention it to Tucker and he outright refused to do it. But within a few minutes of watching his sister and I, he was on the floor, with us, participating and even enjoying it. 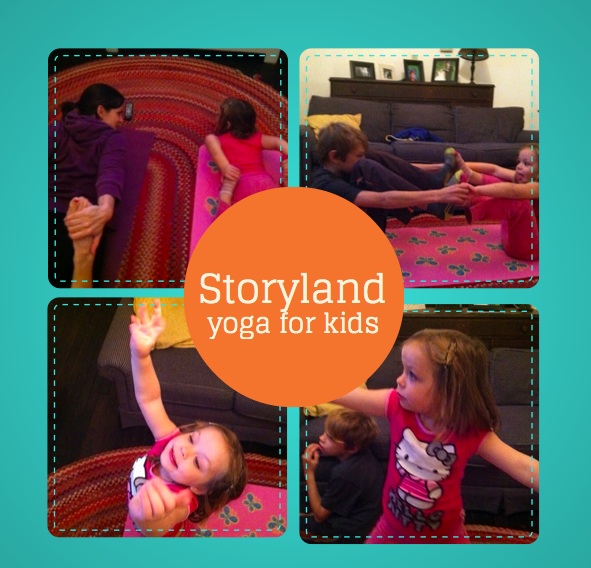 Storlyland Yoga is different than the other kids yoga dvds because it merges yoga poses for kids into a story. The two stories on the dvd are: Save the Whale and Condor Trek and they were relatively short. Save the Whale was 18 minutes and 30 seconds in length while Condor Trek was 23 minutes, 10 seconds. Short enough to maintain a child's attention span. Both of my children enjoyed their yoga sessions with Storyland Yoga. Izzy actually begs for yoga time at night. Which, honestly, makes me very happy. I'm quite happy to have the Storyland Yoga in our dvd collection and will continue to make yoga sessions a part of our routine. Plus, I kind of liked getting down and doing some of the yoga poses with the kids. The price is rather reasonable as well. 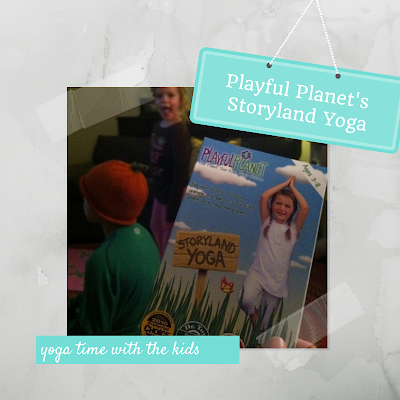 The Storyland Yoga DVD with both stories is $14.99 and can be purchased here. Get more information about Playful Planet on Facebook or Twitter. LOVE THIS. when mine was little I got certified and never taught--just wanted to do with her before bed. Shes 7 and we still do it together.